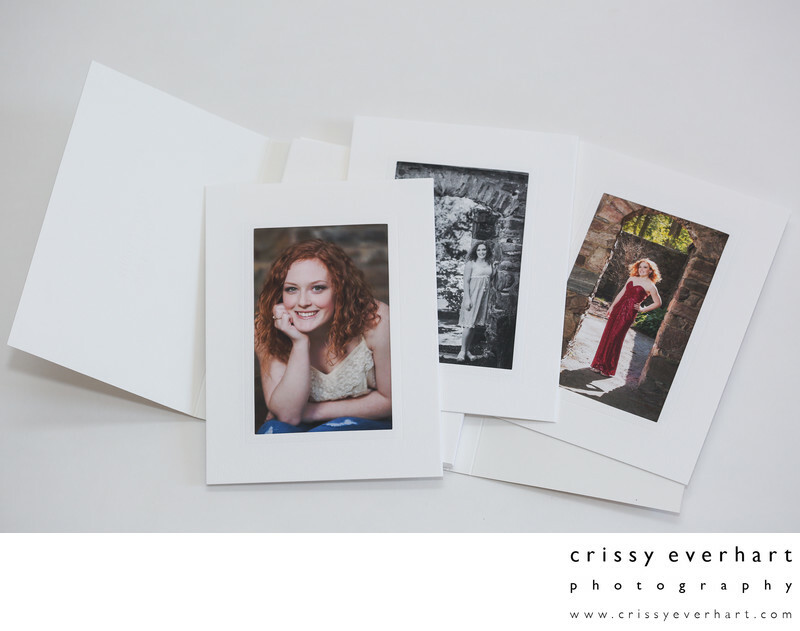 Image Folio, shown open, with matted prints of a senior portrait session. White mats shown here, but also available as a dark folio with black mats. Holds 10-20 4x6 prints, matted to 6x8.